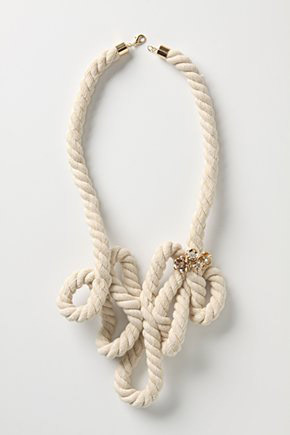 Continuing with our Anthropologie DIY theme this month... we're going to work on their Curls & Coils necklace, which sells for around $50. Not a bad price for Anthro... but when my husband saw it, he said, "they want 50 bucks for a piece of rope?!" And, I had to agree. Let's do it for about $2, what do you think? 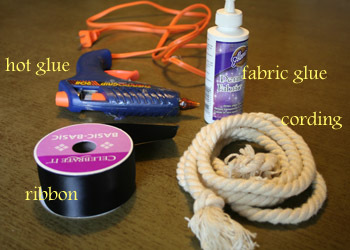 Gather your materials - the ribbon should be about 1.5 inches wide, and the cording you can find at any fabric store for about $1 a yard. Layout your design... it took me about 3 attempts to find a look I liked. Use straight pins to hold the design in place. 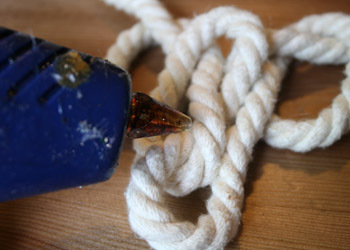 Use little dabs of hotglue where the cording touches. Make sure to lift up the coil, put a dab of glue and then hold in place for 10 seconds. That way you won't be able to see any traces of the glue. Flip it over and repeat on the back side. 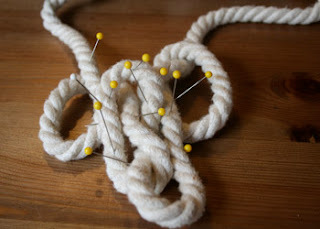 Remove the pins as you work. On one side add a few decorative elements: a brooch, and old earring, whatever. 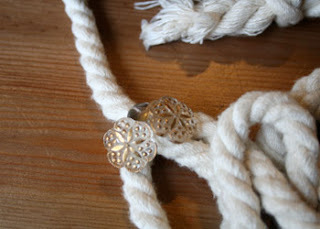 I used a thumbtack (yes, a thumbtack) and some vintage glass buttons. Hold up the necklace to your neck and figure out how long you want the cording to be. 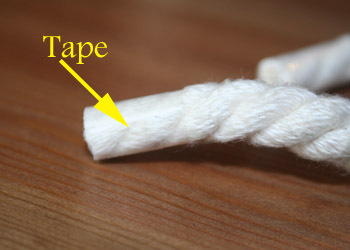 Wrap tape around the section you want to cut, then use your scissors. 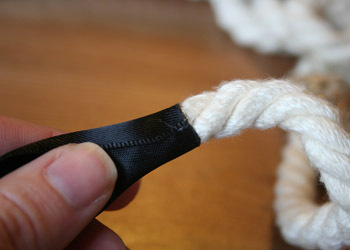 Using the tape helps keep the cording from fraying. 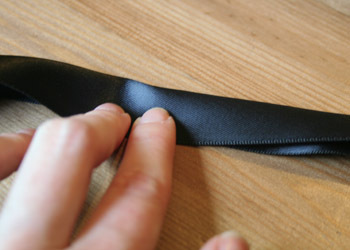 Now, wrap your ribbon around the taped end and hot glue into place. I didn't want to have that fat ribbon wrapped around my neck, so I folded it in half and then used fabric glue to make my ribbon "skinny." And, your done! What I like about making this necklace is that I can make it any length or design you'd like. The original Anthro one was too long for what I wanted, so the easiest solution is to make your own. That is flat out amazing. I can't believe you made it!! 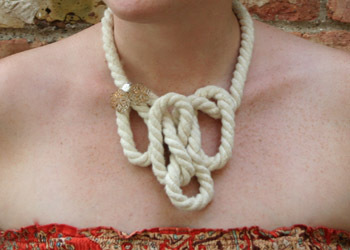 Very stylish for a necklace. It looks even elegant. Nice work! Very creative. Surely you can design. Keep on going!